Taj Mahal tour packages take you to the erstwhile fortress of the mighty Mughal Empire, Agra. 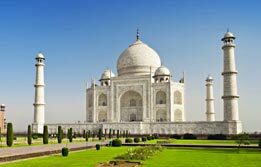 Every year thousands of travelers book Taj Mahal tour from Delhi to enjoy the splendor of this emblem of true love, Taj Mahal, which is also one of the Seven Wonders of the World. 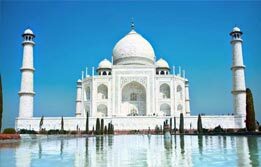 Choose from the range of Taj Mahal travel packages. 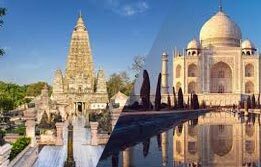 You can choose from one day Taj Mahal tours or extended Agra tours to explore other historical wonders of this place like Agra Fort. 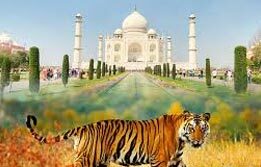 Same day Taj Mahal tour are great for those having less mind but wish to make the most of their holiday in India. These Delhi Agra tours narrate some unknown stories of love, hatred, loyalty and chivalry. Taj Mahal travel on a one day gives you opportunities to click some remarkable pictures of this marvel. So, book Agra Taj Mahal Tour Packages today and weave memories of a lifetime.